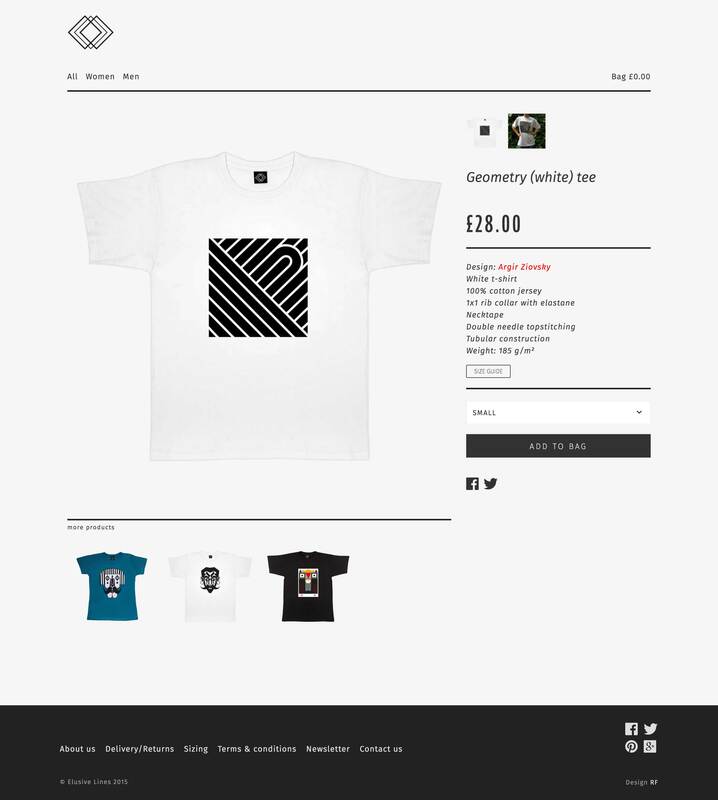 Elusive Lines is a fashion brand creating stylish, graphic t-shirts. The objective of this project was to design an online shop and develop a theme for the Big Cartel e-commerce platform. The requirements for the project were to design clean and minimalistic layouts adhering to company guidelines with the incorporation of appealing typography. The website had to feature an eye-catching, animated intro. From the very beginning my approach was to design 'as little as possible', removing every element that was not essential and leaving space for the content to speak. I wanted every single page of the project to be visually stimulating and contain some hidden beauty to be discovered by the viewer, even in places where it is not expected. 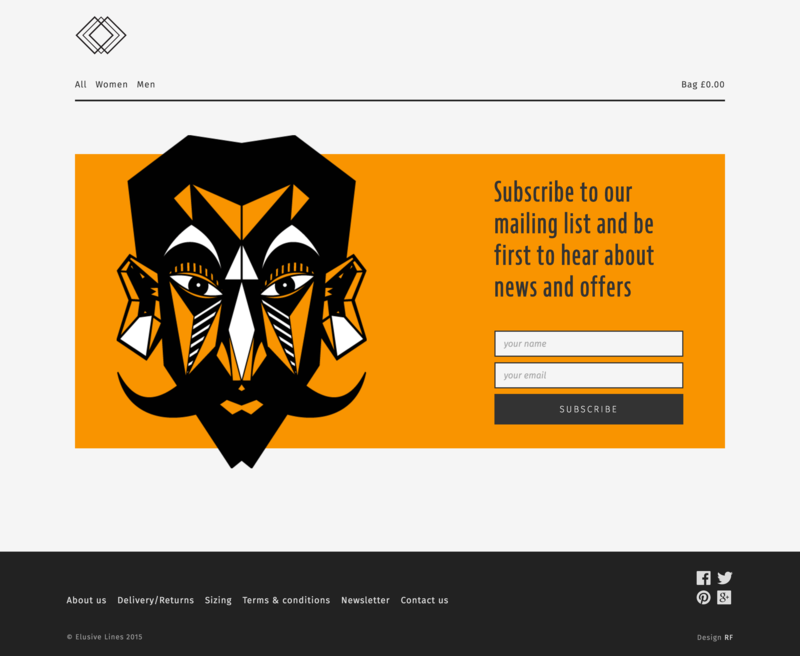 The newsletter sign-up page reveals one of the wonderful images designed by Argir Ziovsky, who also participated in the design process; this is the sort of visual 'surprise' I wanted to be integral to the project.